Cambridge, UK and Pittsford, NY – 14 May 2014: “Verderio Impianti is the second happy customer this month to invite us to demonstrate our software at their exhibition stand,” says Alan Pitt at CAD Schroer’s Dutch office. “We are delighted.” VIV Europe takes place in Utrecht, the Netherlands in May. 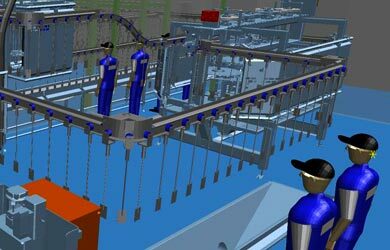 Verderio Impianti, the Italian processing plant provider to the abattoir sector, has over 50 years of experience developing innovative, safe and productive machinery and plants for poultry and rabbit processing. 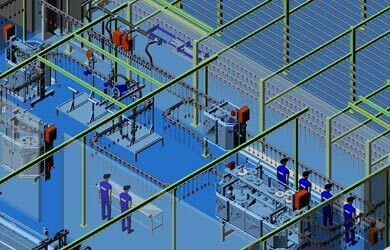 The company uses CAD Schroer’s MEDUSA4 design automation suite for complex plant layouts, and is currently looking at all the benefits of moving to 3D plant design and walk-through visualisations with CAD Schroer’s MPDS4 software. 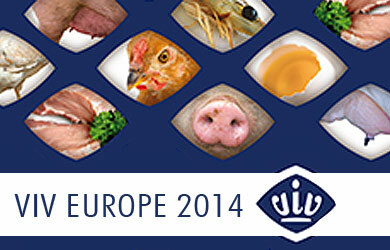 VIV Europe 2014 is the world expo for animal husbandry and processing and will take place in Utrecht, Netherlands from 20-22 May. CAD Schroer and Verderio Impianti will welcome customers at booth 07.A081.